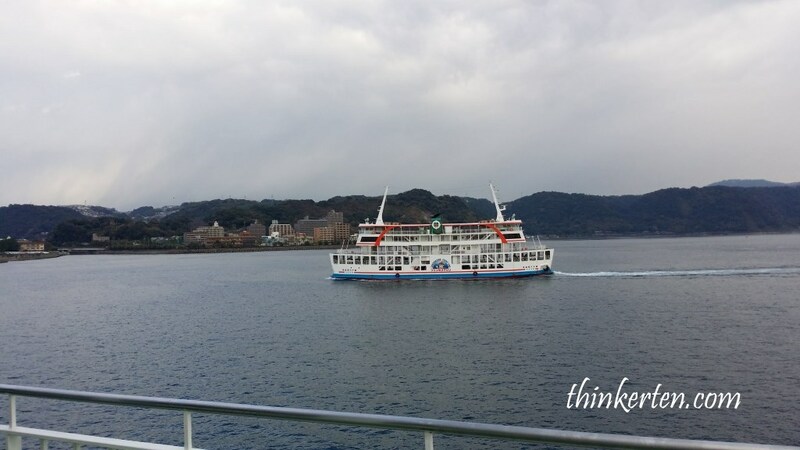 Kirishima to Kagoshima City – How far? Kirishima to Kagoshima city took us about 1 hour drive, about 40km. Both places are located in Kagoshima Prefecture. When we talk about Kagoshima, people often relate to their warm beaches and sand bath. Too bad it was winter when I was there, and to think off taking off layers of clothes and soaked in the open air sand bath in the chilling winter made me think twice. If you are here in summer or warmer season, it is definitely a great idea to try it out. 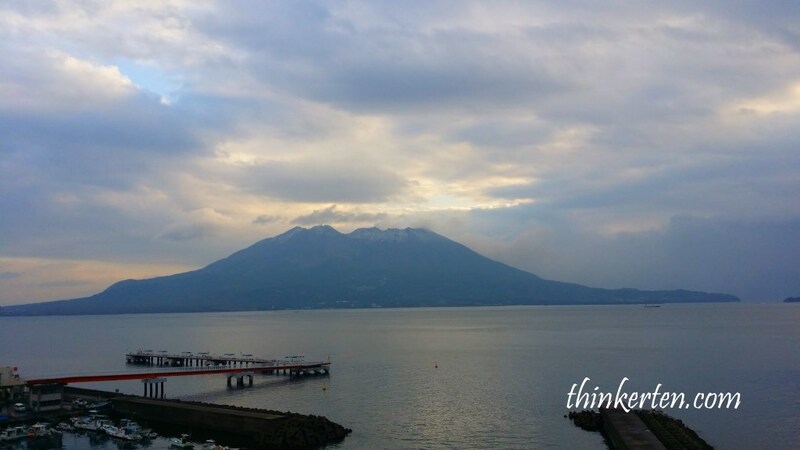 Beside the famous sand bath, Kagoshima is the southern city in the shadow of the active Sakurajima volcano and many mores but Sakurajima is one of the highlight. 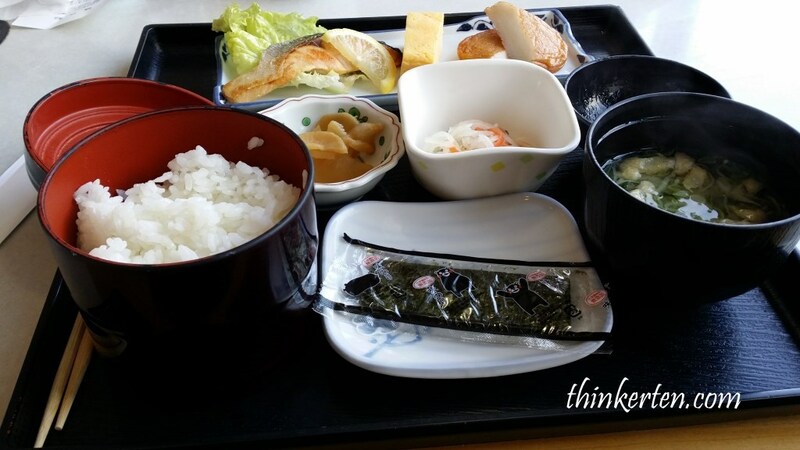 The standard set lunch normally come with white rice, miso soup fishes and some ‘nimono’/simmered food/fishcake and pickles and salad. 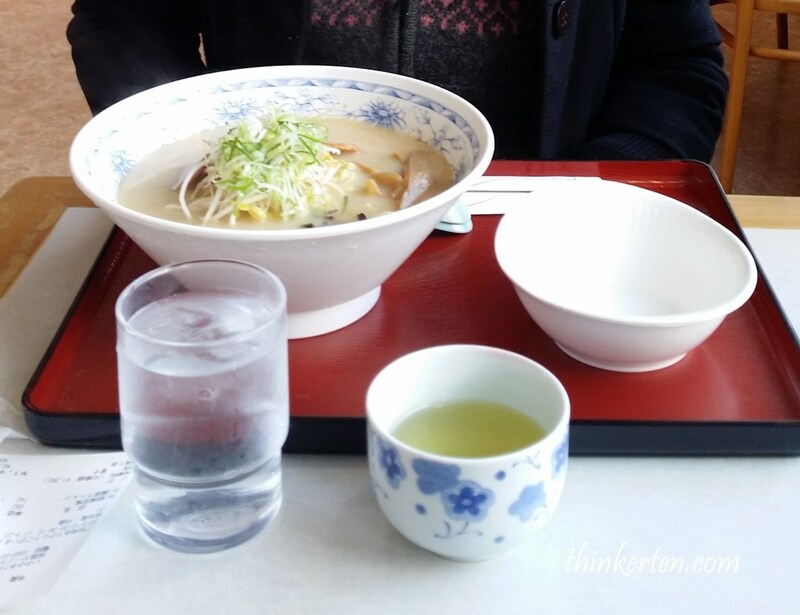 The target customers in this restaurants are usually students. We were lost so we stopped to navigate and had an early lunch. I prefer something soupy and kept me warm so I ordered ramen. 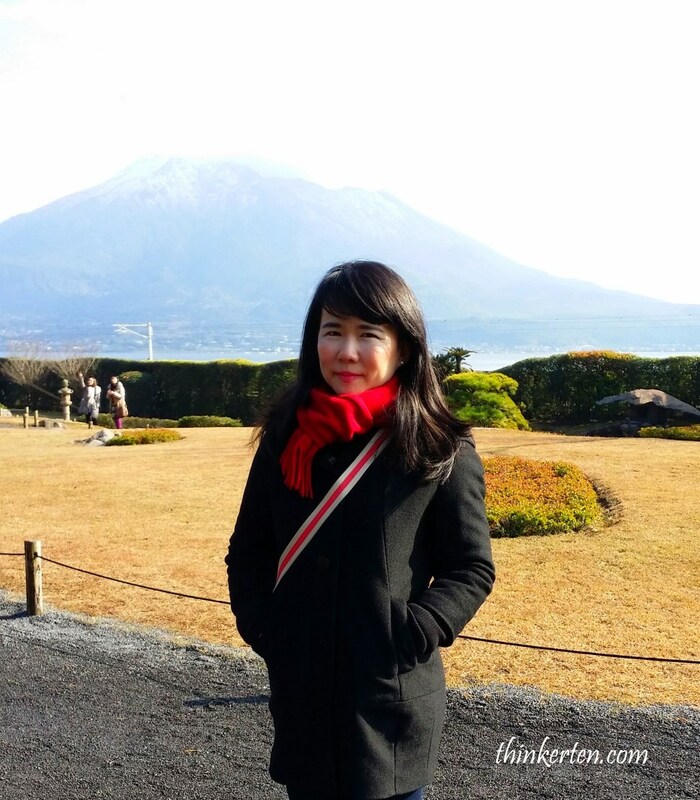 This is a beautiful Japanese style garden facing stunning view of Sakurajima Valcono and Kagoshima Bay. 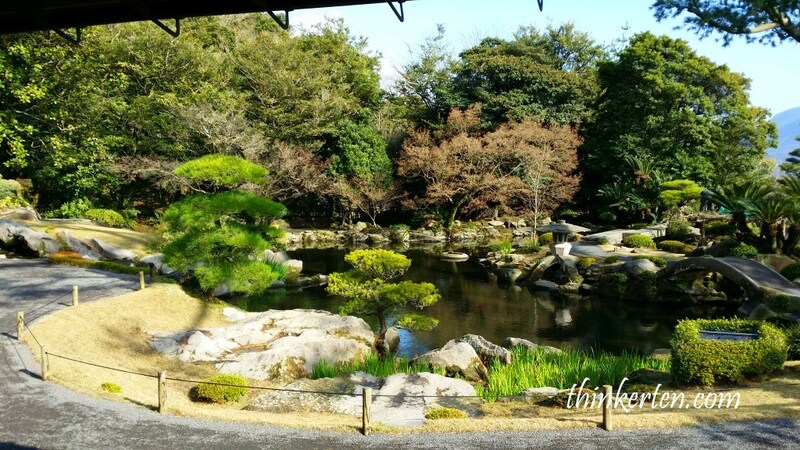 I would say the view here in Sengan-en Garden is the highlight. 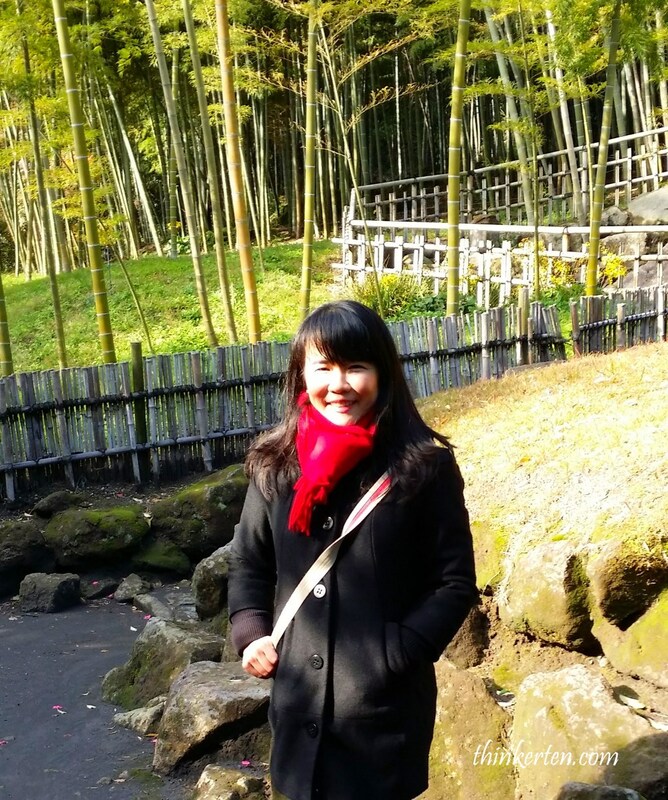 The garden is very big and there is a bamboo forest which is very serene when you stroll around and also very picturesque. Looking out from the Iso Residence, is calm pond and well trimmed vegetation and trees with zen ambiance. The Iso residence was originally built in 16 century and became the main residence of Shimazu family/a proud clan. We got to see the rooms inside with a guided tour which also included tea ceremony and Japanese snacks at the end. 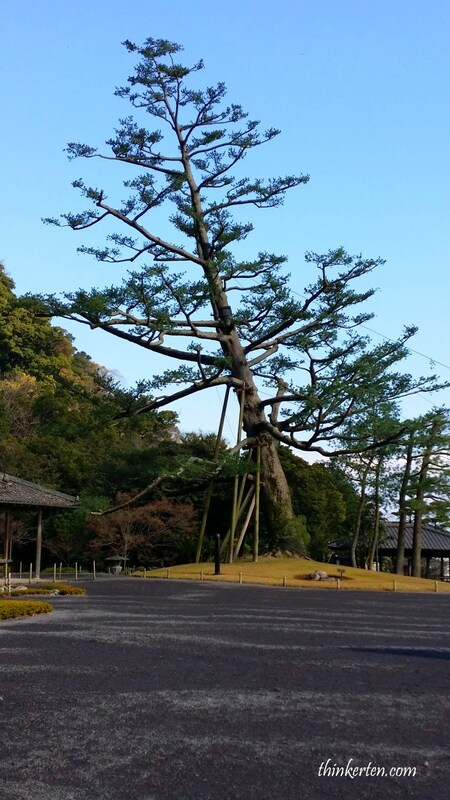 A huge tree seems like going to fall down but it was supported by few sticks at the bottom. I hope it remain healthy and grow stronger. The breathtaking sea and mountain view – the Sakurajiama Volcano from afar. 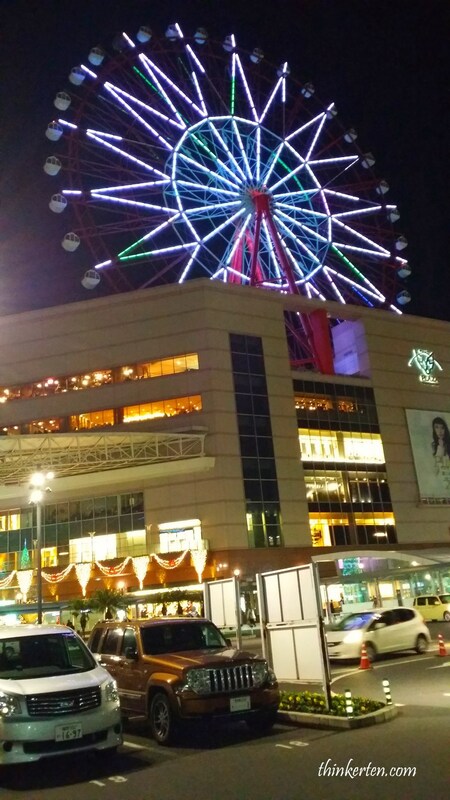 The wheel sits on top of Amu Plaza Kagoshima adjoining Kagoshima-Chūō Station. I went to do some shopping in Amu Shopping Plaza as I wanted to make some glasses with Zoff Glasses outlet. Didn’t get up the Ferris Wheel but the night view was quite beautiful. From Kagoshima Port, we took a ferry together with our rental car to go to Sakurajima Volcano. Once we parked our car inside the ferry, we are allowed to walk around and check out the view. The traveling time is pretty short, about 15 mins. There are charges for adults and children plus vehicle. This is one of Japan’s most active volcanoes and the highlight of Kagoshima. There are 3 main peaks : North peak 1117 m, middle peak 1060 m and Southern peak 1040 m. We stopped at one of the peak with observation point.